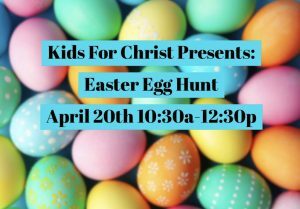 Our Kids For Christ children’s ministry will be hosting an Easter egg hunt April 20th 10:30a-12:30p. All children are invited for what will a fun time searching for eggs!! !